Chicago cop is suing family of teenager he killed. 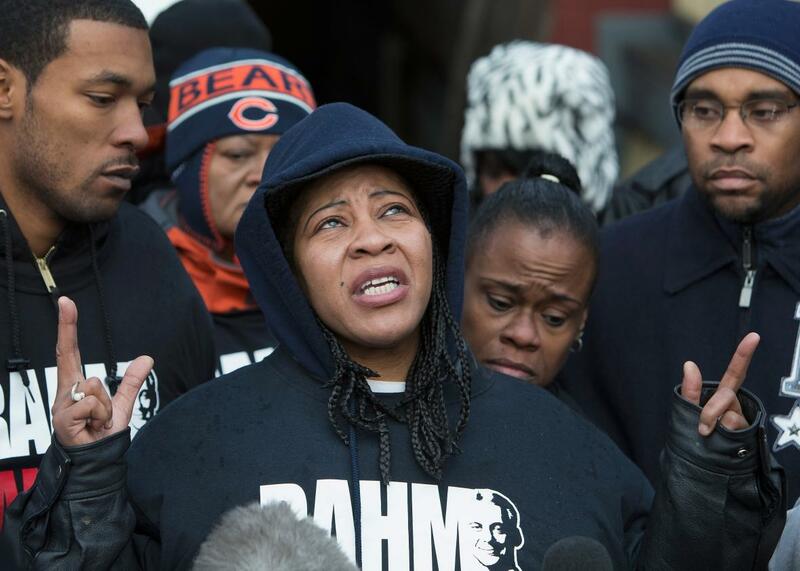 Janet Cooksey speaking about the death of her son Quintonio LeGrier before the start of a vigil on Dec. 27, 2015 in Chicago, Illinois. The Chicago cop who shot and killed a mentally ill teenager thinks he deserves to be paid for his decision to pull the trigger. The cop also accidentally killed the 19-year-old college student’s neighbor, Bettie Jones, a 55-year-old woman. So that’s two families officer Robert Rialmo devastated, but he’s apparently the one who is suffering from “extreme emotional trauma,” according to the lawsuit filed on Friday against the estate of Quintonio LeGrier seeking between $50,000 and $10 million in damages. LeGrier’s lawyer was incredulous at the news. “After this coward shot a teenager in the back … he has the temerity to sue him? That’s a new low for the Chicago Police Department,” Basileios Foutris tells the Chicago Tribune. Rialmo’s lawsuit provides the first account from the officer of what happened on Dec. 26, when the officer shot LeGrier six times. According to the suit, LeGrier “took a full swing” at the officer with a baseball bat “missing (his head) by inches.” When LeGrier took another swing, Rialmo opened fire when he “feared that LeGrier would strike him in the head with the baseball bat so hard that it would kill him.” Rialmo fired eight times at LeGrier, striking him six times. 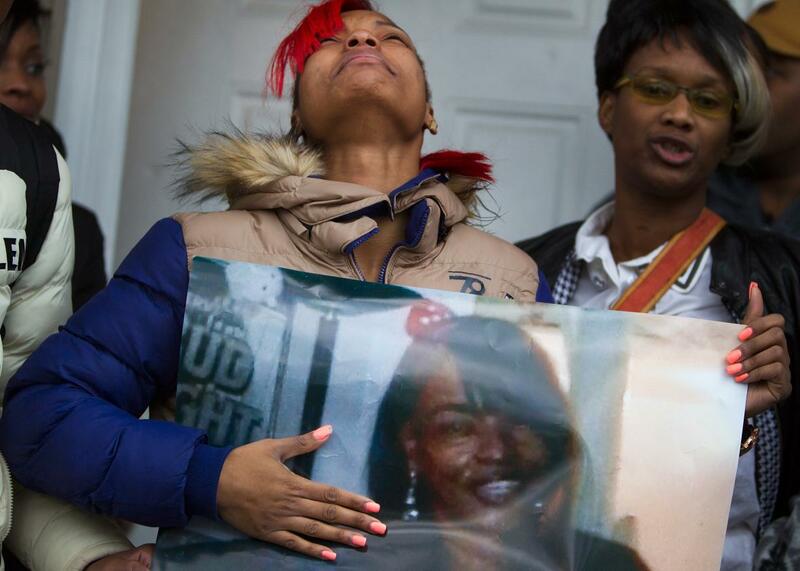 Bettie Jones’ daughter LaTonya Jones holds a picture of her mother during a vigil outside her home on Dec. 27, 2015 in Chicago, Illinois. That contradicts the version given by LeGrier’s family, which claims the teen was shot while he was inside the building and the police officer was outside. The family also says LeGrier wasn’t a threat to anyone. “Officer Rialmo has suffered, and continues to suffer, injuries of pecuniary nature, not limited to medical expenses, damage to person, pain and suffering, and physical and emotional trauma, all which are permanent,” the lawsuit says. Antonio LeGrier, the teenager’s father, has filed a wrongful death suit and Rialmo’s lawsuit is a countersuit to that filing.